Made from 100% recycled polythene material our PIFA standard and BBA accredited damp proof membranes come in a choice of three standard gauges, 1000 gauge (250 Micron thick), 1200 gauge (300 Micron) and 2000 gauge (500 micron). The 1000 gauge is fully compliant with the minimum standard required for damp proof membranes as stipulated in The UK Building Regulations. Damp Proof Membranes provide a barrier for moisture, usually used within building foundations it can also be used for a range of other damp proofing applications. Damplas DPM is suitable for use below concrete floors not subject to hydrostatic pressure. All Damplas DPM are CE marked to EN 13967 2012. 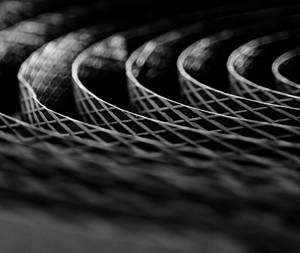 NDC can also produce DPM in a range of sizes and specifications to meet your specific needs. 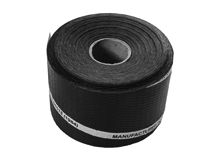 Please contact us with your requirements to get the DPM you require. For use in brick, stone and concrete walls Damplas DPC provides a robust damp proof barrier to prevent the rise of damp in structure walls. To be compliant with current building regulations a damp proof course should be built into the mortar bed approximately 150mm above the structure base. NDC Polipak Damp proof course comes in a range of sizes to suit various project applications. A cut-to-width service is also available on demand. It is flexible and has a bold embossing to both sides to promote improved adhesion to mortar. Damplas Vapour Barrier is a Lightweight waterproof sheet manufactured from recycled polyethylene, ideal for stopping water vapour penetrating walls and flooring, reducing condensation and thereby helps prevent mould and damage from damp penetration. 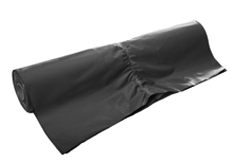 Supplied as standard in roll form, 2.7 x 50m and 2.5 x 20m this 125 Micron polythene sheet provides a highly flexible and easy to use vapour barrier for use in a wide range of applications. A range of other colour options, sizes and gauges are available on demand. Damplas Vapour Barriers are CE marked to EN 13984 2013.